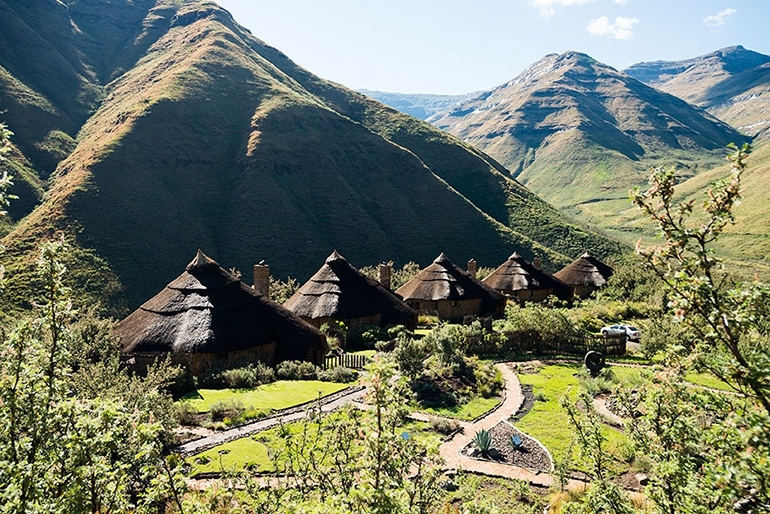 Although a small country, Lesotho boasts an assortment of fantastic attractions that tourists can visit and discover the history and heritage of both the Basotho people and the Mountain Kingdom. This National Park is as underrated as it is underused. 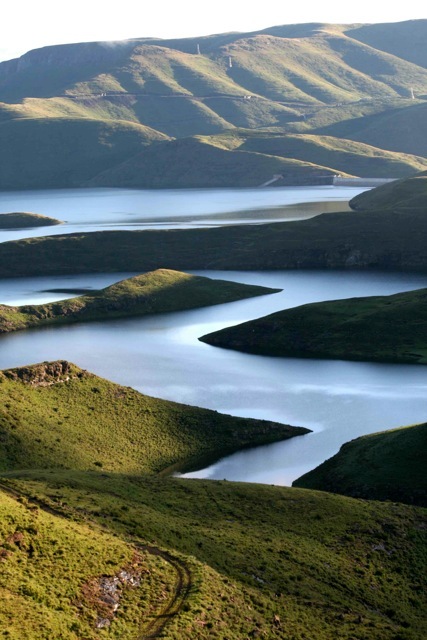 This is the largest park in Lesotho and no other place is about as far away from it all as Ts’ehlanyane. 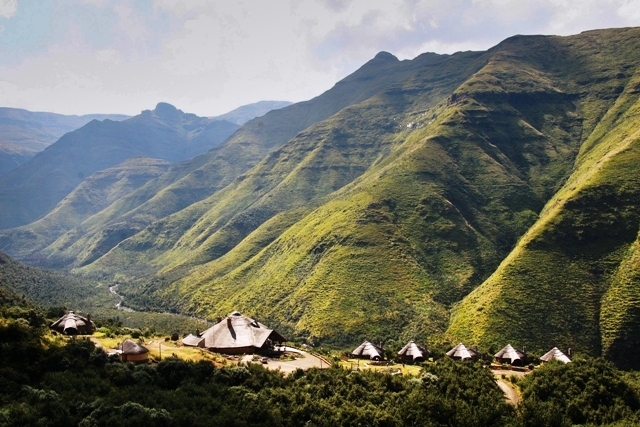 Visit Maliba Lodge located within the Ts’ehlanyane National park to explore one of Lesothos best kept secrets! Amazingly popular with locals and tourists alike, The Sani Pass is a remarkable area for driving, hiking or mountain biking while enjoying sprawling views of the Drakensburg Mountains. 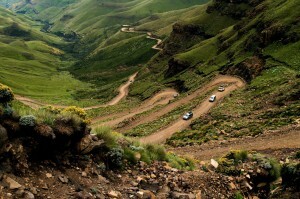 This spectacular 4×4 track twists and snakes its way through the “Ukhahlamba Drakensberg Park” up into the impenetrable rocky cliffs of Lesotho’s Roof of Africa circuit that links the spectacular scenery of the Drakensberg with the attractions of Northern Lesotho. Before the 1950’s, it was a trail for pack animals to carry goods through to the isolated town of Mokhotlong in Eastern Lesotho. Nowadays, the pass is easily traversable by 4×4 vehicles, although the odd donkey and horse can still be seen plodding slowly up the steep route. 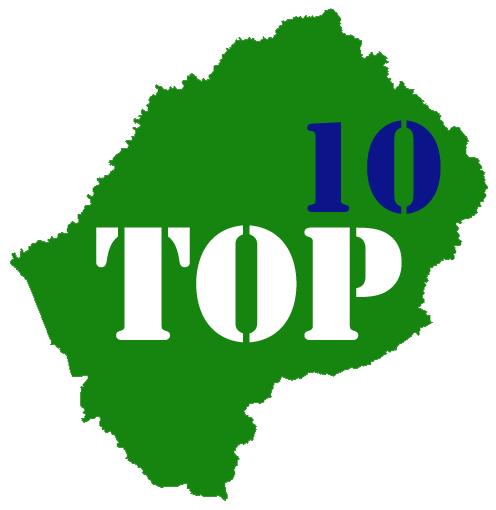 At Sani Top is where you’ll find the Lesotho border post and Sani Top Chalets where it has become customary to not only enjoy a few well earned drinks but have your photo taken at Africa’s highest pub. 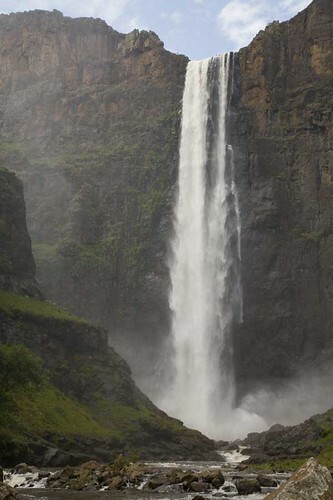 Semonkong in itself is a popular attraction, as it is home to the Semonkong Falls, also known as the Maletsunyane Falls, the highest single drop in southern Africa and offers some spectacular unspoilt scenery. This picturesque waterfall is easily accessible from Semonkong by a five-kilometre walk along the Maletsunyane River, where you will have to opportunity of witnessing the river cascade 204meters into a tranquil swimmable pool below. While truly spectacular in summer when the water flow is highest, in winter the water freezes, spraying the rocks with ice and forming a stunning ice cage over the pool. 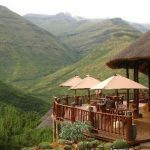 Semonkong Lodge offers adventure seekers the opportunity to abseil the falls and therefore conquer the world’s highest abseil at 204m (Guinness Book of Records). A national Monument, Thaba-Bosiu or ”mountain of the night” was the mountain stronghold of “Moshoeshoe the Great” and is considered the birthplace of the Basotho nation. It is by far one of the most important historical sites in Lesotho and invokes a sense of identity for the proud nation Basotho. The name mountain of the night echoed the local belief that the mountain (though not looking particularly high by day) grows by night into an impossibly tall, unconquerable mountain fortress. This explanation may be more credible than it sounds. Thaba Bosiu was attacked many times during Moshoeshoe’s reign, but never conquered. Good views for the surrounding countryside include those of the Qiloane pinnacle (the inspiration for the Basotho hat “Mokorotlo”), along with the remains of fortifications, Moshoeshoe’s grave, and parts of the original settlement. Away from anyone’s view, including that of warring tribes and the primeval cannibals that came to maraud Lesotho due to hunger in the early 19th century, is a remarkable village where cave dwellings have been carved and built under towering sandstone rocks. Almost two centuries later, these caves are still home to descendants of the original inhabitants (Basia and Bataung clans). There are also faded san paintings in the cave which indicates that the san people also occupied the cave. 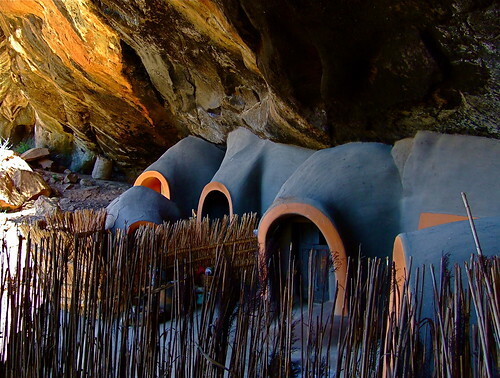 The area used to be called ‘Liboping’ (the place of ovens) as the huts are shaped more like traditional Sotho kilns, built with rock and plastered with a mixture of mud soil and cow dung. The site is now a National Heritage Site where visitors can learn about the rich history and culture of the people. Step back in time as you follow the dinosaur footprints in Lesotho. This small country has the world’s largest known sites of dinosaur footprints, which makes Lesotho a favourite place for both archaeologists and palaeontologists. Many of the earliest known dinosaur fossil discoveries were made by the missionaries’ explorations of the area, including a wealth of bones, trees, plants and shells from pre-historic times. The country even has a dinosaur named after it – the “Leosthosaurus” which was a 1 metre long herbivorous lizard, a very primitive ornithopod from the late Triassic and early Jurassic period 200 – 208 million years ago. 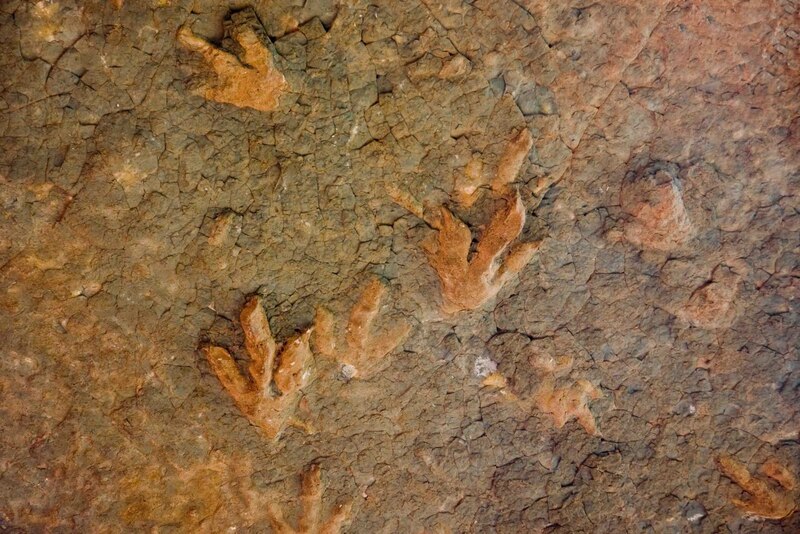 There are many dinosaur footprint locations and some can be found at Morija, Subeng Stream (between Leribe and Butha-Buthe) and Tsikoane close to Leribe, Moyeni, Matsient and Mohale’s Hoek and Quthing District at Masitise /Ellenberger’s Cave House. Ha Baroana (East of Maseru) – “the home of the Bushmen”. Here the San have left us a magnificent gallery of paintings of animals such as leopard, lion and eland, as well as blue crane and guinea fowl. In the Butha Buthe area (North West) there is the Liphofung Cultural Centre, where visitors can be guided through an educational centre at one of the best rock art sites available. The Sehlabathebe National Park in the south eastern region of Lesotho, although fairly inaccessible (a 4 wheel drive vehicle is required) is definitely well worth the effort. 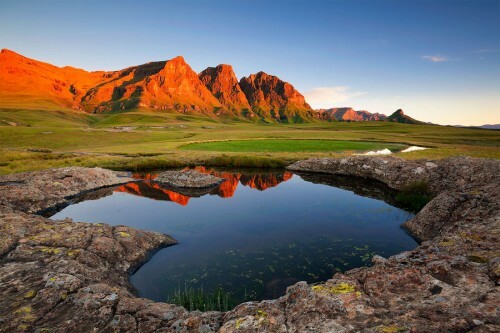 This was the first designated National park in Lesotho. This hidden gem is full of wonderful rock formations unique to this area, massive rock overhangs, small lakes, rock art, rock arches and a beautiful and unique ecosystem of plants, birds and animals. 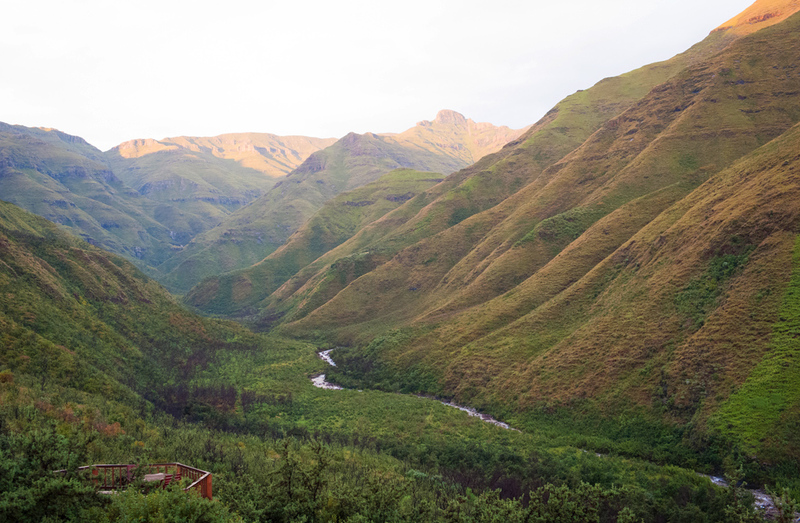 The Prime Minister of Lesotho at the time, Chief Leabua Jonathan, loved trout fishing and, since the dams and rivers are a fisherman’s paradise, this may explain the park’s existence. The Ts’ehlanyane National Park and Bokong Nature Reserves are both far more accessible and well worth a visit in their own right. I have a very spiritual attachment to Lesotho and the entire Basotho nation. My family are from the Basotho nation but my mother was born in the city (joburg) and never bothered herself about their origins. I identify more with Basotho than any other nation. It’s a spiritual thing for me. Lesotho is a beautiful and lovely country..and please come in Quthing to see the true nature of almighty God. I have looked at places to visit in lesotho on Web, and believe one day I will visit lesotho.i met lots of lesotho people in South Africa and they are so respectful I wonder how welcoming when they are at home. I have just came back to Sweden after one weeeks road trip in Lesotho and I must say that I´ve never met such proud and friendly loving people before.